Russia’s diamond monopoly Alrosa completes listing 16 percent of its shares on the Moscow Stock Exchange, giving foreign investors access to this previously off-limits sector of the first time. Russia’s diamond monopoly Alrosa has completed its IPO on the Moscow Stock Exchange, pricing at the bottom of the range at 35 rubles ($1.1) per share. The company sold 16 percent of its shares for a total of $1.3 billion. The Russian government and the Yakutia Republic each sold 7 percent, while Wargan Holdings, an Alrosa subsidiary, put another 2 percent on the block. Alrosa finished 2012 as the world’s largest diamond producer, accounting for 26 percent of the world’s production (ahead of South Africa’s De Beers, which accounted for 22 percent). The Lazard asset management group and other U.S.-based investors bought up to 60 percent of the shares, reported Reuters. Other investors included Oppenheimer Funds Inc. and the Russian Direct Investment Fund. “The fact that the deal was oversubscribed and the quality of investors is proof that the sale went successfully,” First Deputy Prime Minister Igor Shuvalov said in Moscow. 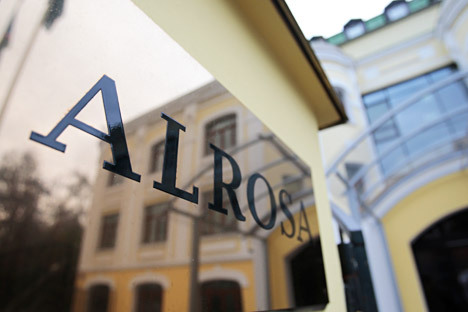 “It is no surprise that the Alrosa issue was successful. It is a unique asset and although still state controlled the valuation is relatively low and covers any concerns about governance or the risk of low liquidity on the domestic bourse,” said Chris Weafer, Founder and Senior Partner at Macro Advisory. The Alrosa IPO is the biggest sale of Russian equity since state-owned Sberbank (the largest bank in Eastern Europe) sold a 7 percent stake last year. To some extent then, the Alrosa listing looks like it is taking full advantage of the window of opportunity for Russian equity issuers. The miner follows Tinkoff Credit Systems into the market, with the "virtual" bank having raised just over $1 billion in London earlier this month. However, TCS is also a privately run company in a sector still relatively under-represented on the equity markets. Alrosa, on the other hand, remains controlled by the federal and regional authorities; the government holds 43.9 percent, while Yakutia maintains a 25 percent blocking stake. Various Yakutia municipalities hold another 8 percent, and another 7 percent stake was held by "other legal entities and individuals". At the same time, whilst Alrosa dominates the Russian diamond market and therefore offers investors unique exposure to some degree – a strong driver for Russian equities in the recent past - it's still a metals and mining company selling raw materials it digs out of the ground. Representatives of Russian heavy industry, and particularly those linked to the extractive industries, have been struggling to attract the (generally high) pricing they seek from equity investors since the start of the crisis in 2008. “Alrosa has now established a beachhead on the local bourse. I would expect to see further sales of the state’s equity in the company as it establishes a public track record and as investor appetite for both Russia risk and unique assets, such as diamonds, grows in the future,” added Weafer. The float is also a disappointing re-start of the government's privatization drive. Earlier earmarked to sell up to $50 billion worth of state-owned shares, that program has been on hold for much of this year due to the poor performance of Russian equities. The finance ministry had originally planned to see revenue of $13.5 billion from equity sales in 2013, but trimmed its forecast to just $1.5 billion. The lackluster drive comes at a time of more grim macroeconomic news, which seemingly point more and more to the urgent need to modernize the Russian economy. Yesterday Deputy Economy Minister Andrei Klepach announced that growth for the third quarter of 2013 stood at a meager 1.3 percent, adding that the annual figure could end up below 1.5 percent. Only a week ago Prime Minister Dmitry Medvedev had said annual growth would be in the range of 2 percent. Meanwhile investment and even consumption continue to stagnate, reported business daily Vedomosti. Some analysts, however, continue to hope for a pickup in investment by year’s end. “Every sale of state equity chips away at the problem. It is a relatively small step in terms of the $100 billion list of assets which needs to be sold. But at least every successfully placing helps counter the concerns that there is no appetite for Russian state assets and boosts the arguments made by the reformers within government,” said Weafer. Information from Business New Europe magazine was used in this report.